The forum is going to come into effect from February 1, 2018 and the trials before the benches are likely to start from the first week of March, 2018. MahaRERA has formally proclaimed the launch of its reconciliation platform, which will comprise members of builders as well consumer group. The forum will come into live from February 1 and the trials before the conciliation benches are anticipated to start from the first week of March. A website has been formed and it has also been connected to the MahaRERA website. The conciliation bench is estimated to arrive at the settlement within 45 days from the date on which it was referred to the bench. Mumbai Metropolitan Region will set up ten conciliation benches (MMR) and Pune region will have 5 benches. 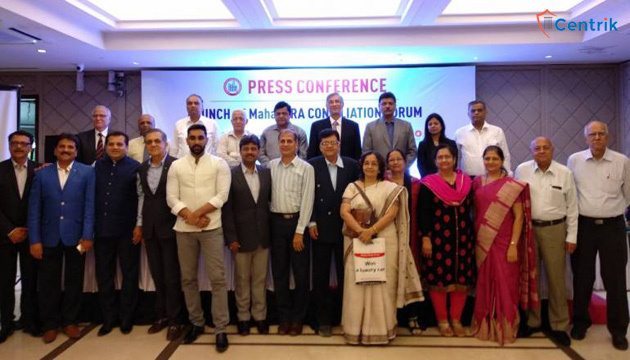 The conciliation committee consists of 23 members on behalf of builders from Council of Real Estate Development Association of India (CREDAI), National Real Estate Development Council (NAREDCO), Maharashtra Chamber of Housing Industry (MCHI) and 15 associates on behalf of consumers from Mumbai Grahak Panchayat (MGP). To get more insight about the new forum and what are its strategies to help homebuyers Mr. Vasant Prabhu who is the MahaRERA secretary was interviewed. In RERA, Section 32(g) gives provisions for an Alternate Dispute Resolution (ADR). Consumer forums representatives were also demanding to implement this provision. Then it was decided to formulate this forum in which consumers’ and developers’ bodies both will come together. The complainant’s will have to spend only Rs. 1,000 to approach the Conciliation Forum on the other hand while registering a complaint with MahaRERA Rs 5,000 is charged. The conciliation benches will be situated in different areas and consumers can register their complaints online. It will be accessible for people and help them save money as well as time. Nearly 1,634 complaints have been registered under MahaRERA. 46 percent orders have been delivered up till now. And at least 30-40 percent disputes are resolved through a friendly settlement amidst the consumers and developers. That is the reason that it was thought that if there were a conciliatory forum it would be settled there itself. This would result in reduced pressure on MahaRERA and it would be able to concentrate on the critical cases. In the list of conciliators, there are 23 representing the builders that include CREDAI, MCHI and NAREDCO contrary to this, there were only 15 representatives of consumers from Mumbai Grahak Panchayat. It is imperative to understand that this consolatory forum is under a control of a core committee. Each main committee has got two individuals from each of these organizations. There are 10 conciliation benches in the Mumbai Metropolitan Region (MMR) and the Pune region has 5 benches. There are more members from the developers’ associations as many times person may not be available for the hearing. The bench will comprise of one person representing the builders’ association and one from the consumers’ association. These will be the two conciliators and they will be the benches for the hearing. MahaRERA has got its monitoring committee, which will decide the venue of conciliation, and also evaluate the progress among other things quarterly. From the starting, MGP has been engaged with MahaRERA. It’s a very huge organization with numerous members. And as far as the basis for selection is concerned, the guidelines of Arbitration and Conciliation Act, which came out in 1996, are followed. But it’s important to note that all the conciliators have been given special training in mediation procedure. Also, we are going to assess their performance. Conclusively, without any ambiguity it is made abundantly clear that the complainants have got right to approach MahaRERA directly without approaching the conciliation forum. But if they desire they can approach conciliation forum through their website by paying Rs. 1,000. And if they get better results, it will be helpful to them. Otherwise, the second option is always available.